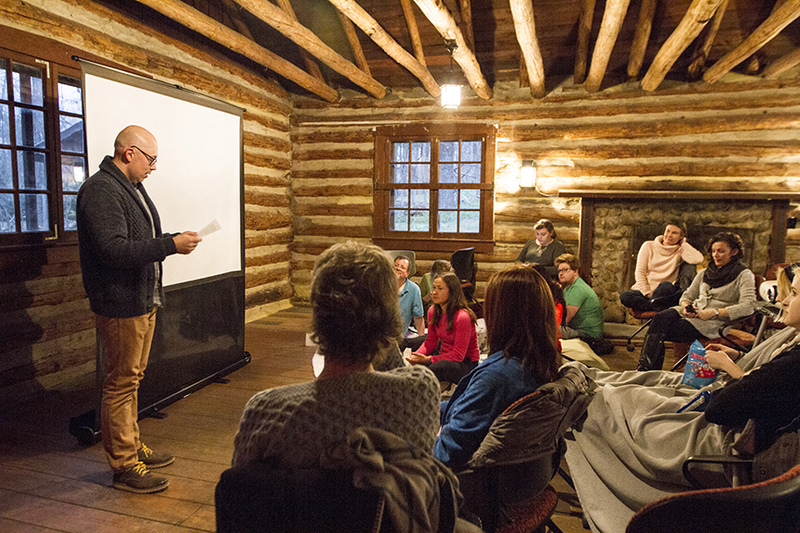 The Cabin Film Series welcomes guests to the Longwood Cabin for screenings of Cult Classic films. Prior to the the viewing, guest lecturers provide insight on themes and references within the film as attendees enjoy camp-fire themed refreshments. These programs take place several times a year and have featured films such as The Conjuring, Cabin in the Woods and Evil Dead 2.